The gloomy design of this template fully opens the essence of strict laws you have to work with everyday. The bravery of your law firm, which maneuvers through a dark wood of jurisprudence, is shown in sliding pictures and firm design elements. DonÃ¢â‚¬â„¢t forget that people will be able to view such beauty from their handheld devices: so letÃ¢â‚¬â„¢s make law practice interactive and responsive. We looked at several templates for a law firm and this one stood out for its simplicity and professional look. The dark background gives it a neat look. The template has flexibiity and we are able to implement several drupal related items with ease. Compared to others this is one is not bad. The inner pages are good. 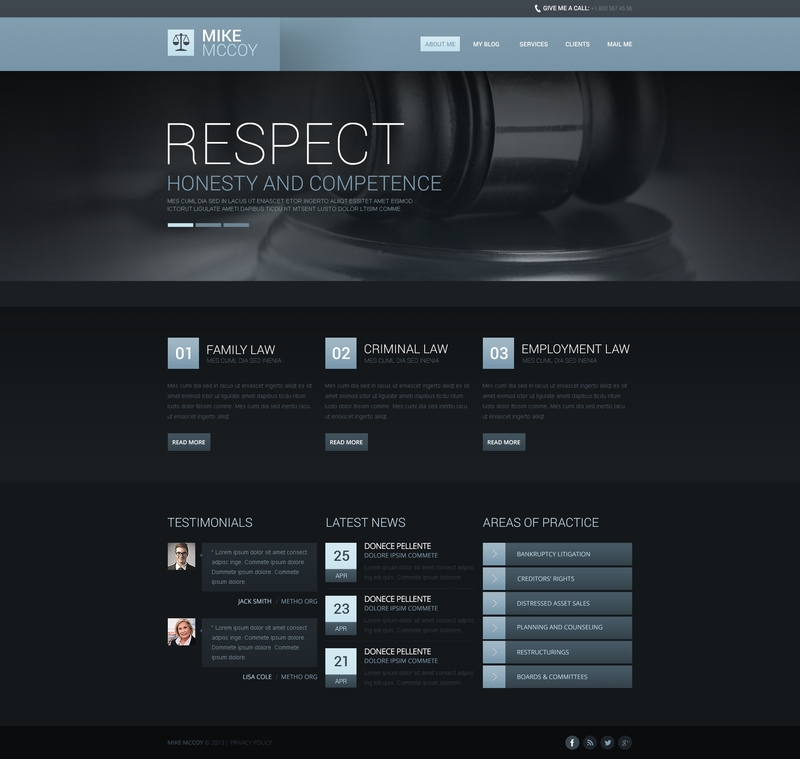 Atmospheric law firm theme worked well for us. My client needed an updated responsive sight to replace their old static sight. I choose this template, since it is graphical and fundamental sound. If you know Adobe Photoshop and any quality PHP editor, this is a great template to customize. My client is very happy with thier new site and pleasantly surprised at how little time it took to develope. Can this template be used as a stand alone template. In other words, can the template be used separate from a Drupal CMS environment?